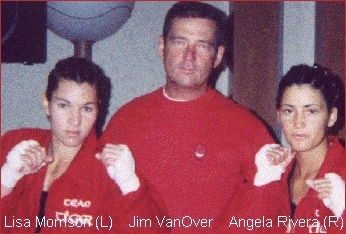 IKF/RINGSIDE USA National Amateur Champions. You Started The WALK For Us ALL! 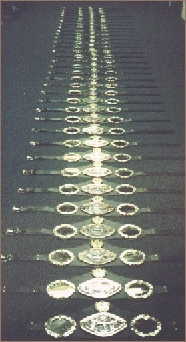 40 IKF National Title Belts at $165.00 each. This event was FIRST CLASS! 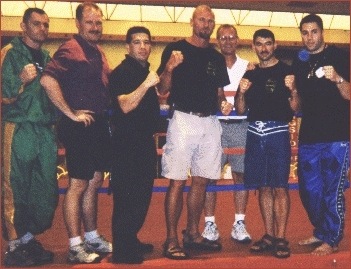 Trainer & Fighter Ricardo Sanders, & Trainer Duke Roufus. 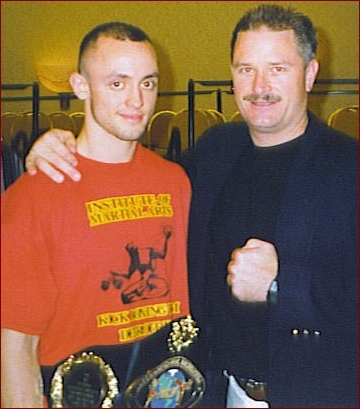 1999 IKF/RINGSIDE National Amateur Super Lightweight MuayThai Title. 30-27, 28-29, 30-27, over Sarah Baker of St. Paul Minnesota. at 1:09 of round 1 over Deb Davey of Dixon Illinois. of Two Tiger Gym shares the spotlight with them. of David Pareja, (R) of Flossmoor, Illinois, USA. 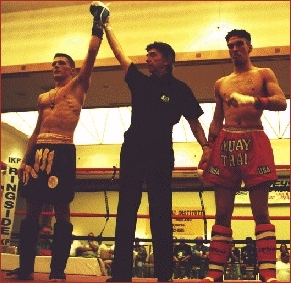 to capture the Full Contact Rules Light Heavyweight Title. 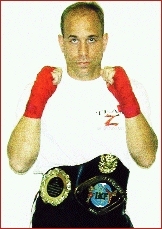 to capture the Full Contact Rules Super Welterweight Title.